Head into your local Walmart where they have Purina Bella 12-Pack dog food trays priced at $7.64. Even better, grab the inserts from this Sunday’s paper to clip some high value coupons to save even more! Final cost $2.64 – just 22¢ per tray! Final cost $1.34 total – just 22¢ per tray! Don’t pass up this Dog Food & Treat sample box! Soft Scrub 4-in-1 Toilet Care for Just 99¢ at Walmart (Reg $1.98) – Print Now! Here’s a great offer for any expecting mom! While supplies lasts, you can get a FREE Walmart Baby Welcome Box! Fill out your information to get your box. You will need to pay $5 for the shipping cost. 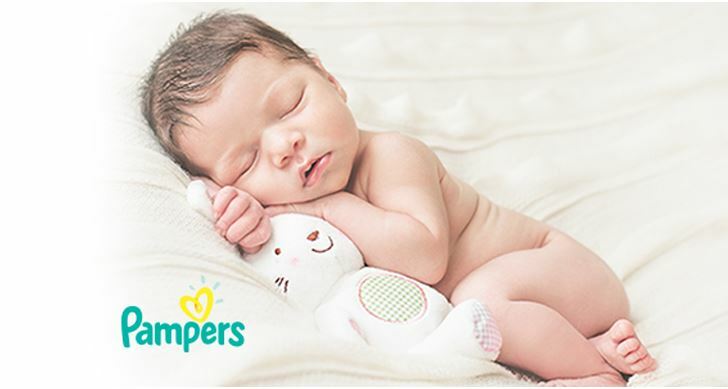 Box subscribers receive home delivery of products and helpful tips for the first three life stages of their baby: Pre-Natal, Newborn, and Toddler. Each box is filled with samples according to your baby’s life stage. Allow up to 5 weeks for delivery. Note: You can cancel the subscription at anytime. Hop on over to Walmart.com where you can score this Coleman Oversized Quad Chair with Cooler Pouch in red for just $14 – lowest price! We have 2 of these chairs and love them! This is a great price. I have one and really like it, worth paying more than those basic ones with zero padding. Going to get more now that they’re cheaper than I paid originally, thank you! These adidas slides are 60% off AND ship for FREE! Hop on over to Walmart.com where you can find a nice savings on 6-Piece Towel Sets! These sets include two each of bath towels, hand towels, and wash cloths. Grab a few extra sets for the guest bath, or consider donating to your local shelters! Prefer Tommy Hilfiger bath towels? If you’re headed into Walmart soon, check out the housewares section where we spotted kitchen cookware and appliances on clearance for up to 60% off! Keep in mind that clearance prices and products can vary greatly from store to store. *HIP TIP – To find out if your local Walmart store has these in stock, click the SKU numbers below and enter your zip code to check stock and price of these items at your local store. Note that Brickseek is NOT always accurate with stock. Score these clearance deals online! Hop on over to Walmart.com and score big savings on this cute Leaf Pumpkin Collection. These will make a great addition to your fall decor! Through December 31st,or while supplies last, hop on over to Ibotta where they are offering a whopping $3.50 cash back when you buy both Heinz Tomato Ketchup 32oz+ and Heinz Real Mayo! Grab your phone and head into Walmart for easy savings – no coupons needed! Final cost $2.46 total – just $1.23 each! *Note that you may find a $1.50 off peelie coupon on the mayo making this deal even sweeter! Head over to Walmart.com where you can score some great clearance buys on The Pioneer Woman products including storage containers, stoneware, and more. Snag this Pioneer Woman water bottle for a great deal!